of the modern master of the macabre, H.P. Lovecraft. 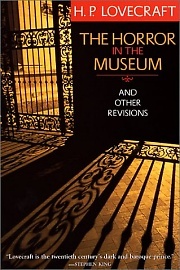 The Horror in the Museum and Other Revisions. By H.P. Lovecraft. New York: Carroll & Graf Publishers; 9 January 2002; ISBN 0-7867-0964-2; Paperback; 240 pages.